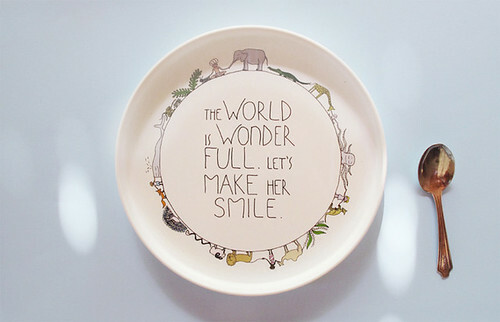 are these not the sweetest plates ever? i found these via a lovely & new-to-me blog called smallest things. they are by smiling planet & i'm in love with the top one. all i'm sayin' is that vivi's suitcase is gonna be chock full of treasure when she visits from the u.s. in a couple of months. can't be that hard to fit in a couple of plates next to the toast cutting board.. right? Also, Im in love with that blog how cute! Your friend is a good one to bring all your treasures over for you.. I need a friend oversees to do that for me... seems like the grass is always greener and the shops that arent in the U.S. are the ones I want to shop from the most! 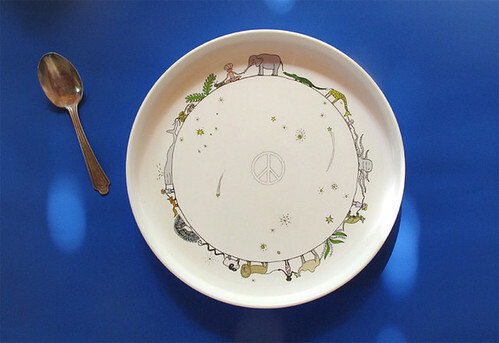 There's definitely room in a suitcase for one (or two) Smiling Planet plate! Thank you kind captain kk for the link to smallesthings. I am happy to have found your blog and look forward to following your captainesque adventures. A bientôt!